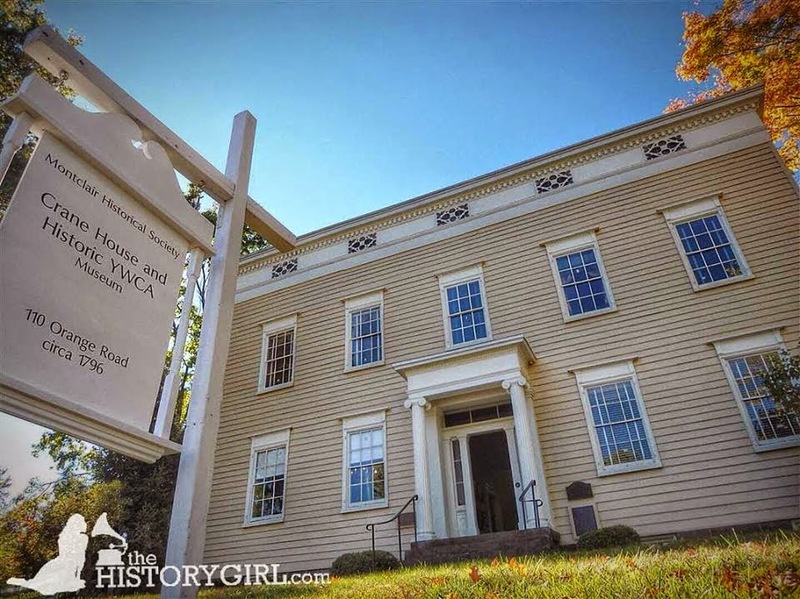 NJ Weekend Historical Happenings: 3/28/15 - 3/29/15 ~ The History Girl! The exhibition opens Friday, March 27 and continue through Saturday, April 25. A special reception will be held on Wednesday, April 1, from 5:00 - 8:00 pm. Gallery hours are Monday - Thursday, 11:00 am - 4:00 pm; Friday, 11:00 am - 1:00 pm; or by appointment. 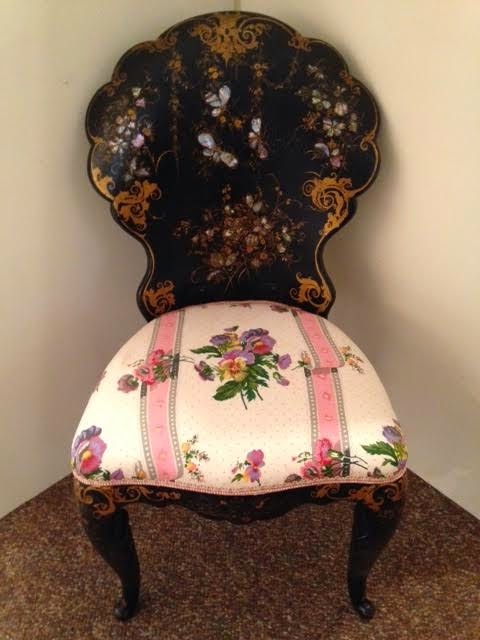 For more information, call Gallery Director Dolores Eaton at 609-737-4133. The Easter Bunny will make a visit to the Maywood Station Museum, 269 Maywood Avenue, Maywood, NJ on Saturday from 10:00 am to 12:00 noon during a special Museum Open House. Parents are invited to bring their cameras for a unique opportunity to photograph their children with the Easter Bunny at the historic station museum. The museum features a wide assortment of displays, artifacts and photographs on exhibit and visitors are invited to climb aboard restored Caboose 24542 and view its operating model train layout and additional photographs and displays. Admission is free. For more information, visit www.maywoodstation.com. On Saturday, join the Friends of the Physick Estate for this educational program by Jeanne Alper of the New Jersey Questers on beautiful brick-patterned New Jersey homes that date back to the Colonial era. Admission is $5 for Friends members; $10 for non-members. The program will be held at the Cape May Lutheran Church, 509 Pittsburgh Avenue, Cape May, NJ and begin at 1:00 pm. Sponsored by the Friends of the Physick Estate, an affinity group of the Mid-Atlantic Center for the Arts & Humanities (MAC). For more information, call 609-884-5404 or 800-275-4278 or visit www.capemaymac.org. On Saturday at 2:00 pm, meet the authors of Prospect Park (Arcadia Publishing, 2014) at the American Labor Museum/Botto House in Haledon. Authors Professor Ronald Verdicchio of William Paterson University and co-authors Eman al-Jayeh, Bria Barnes, Kelly Ginart, Amani Kattaya, Megan Perry, and Paige Rainville will discuss this first published account of the borough's history. Copies of Prospect Park will be available for purchase. Light refreshments will be served. 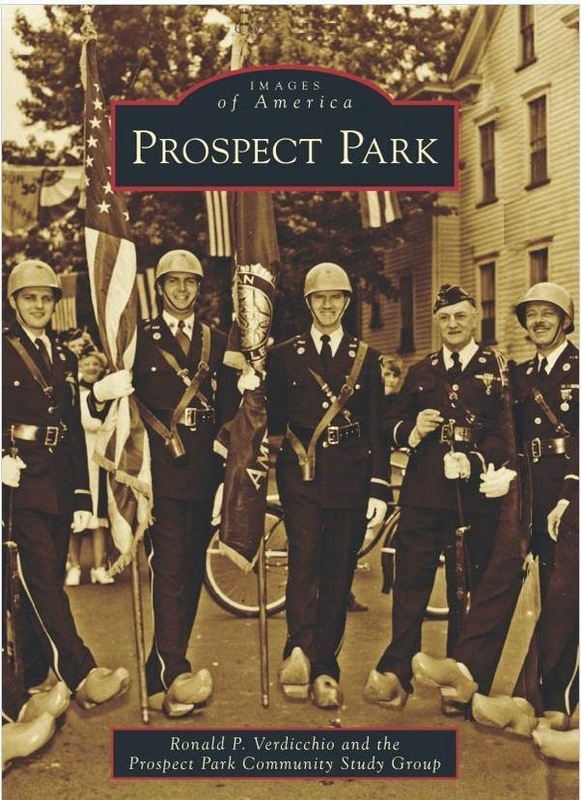 In Prospect Park, the authors present the first written account of the borough's history. Dominated by Dutch culture in the twentieth century, Prospect Park has seen a large influx of Arabic/Middle Eastern, Hispanic, and African-American populations. The American Labor Museum/Botto House is located at 83 Norwood St., Haledon, NJ. For more information, call 973-595-7953 or visit www.labormuseum.net. The Lake Hopatcong Historical Museum is planning its first ever Digital Day at the museum on Saturday. Innovative Document Imaging, who have performed work for the museum for years, will be at the museum from 12:00 noon - 2:00 pm. You can bring in your VHS tapes, 8mm and 16mm films, slides, photographs, and pretty much any form of media and they will convert them to DVDs at a very reasonable cost. All work will be returned to the museum for you to pick-up a few weeks later. The Lake Hopatcong Historical Museum is located in the locktender's home in Hopatcong State Park, Lakeside Boulevard, Landing, NJ. For more information, call 973-398-2616 or visit www.lakehopatconghistory.com. 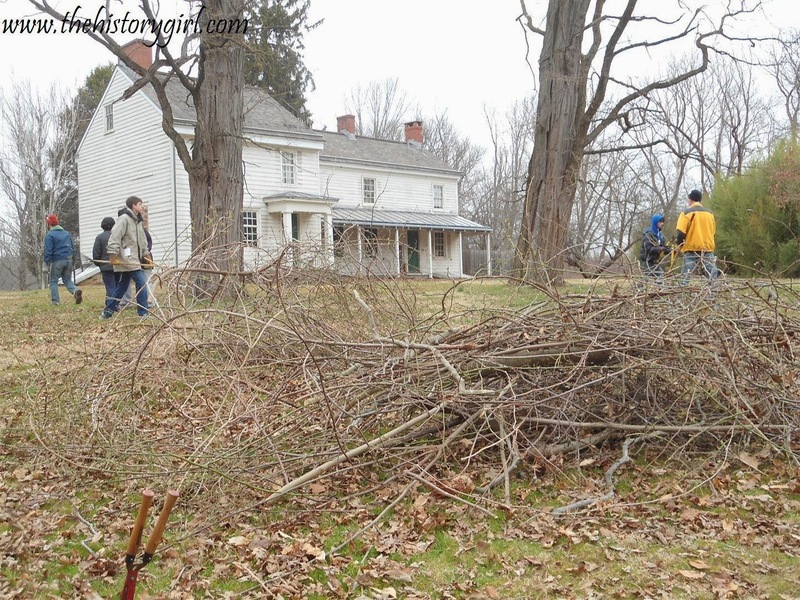 On Saturday, join members of the Princeton Battlefield Society at Princeton Battlefield from 1:00 - 4:00 pm to cut down invasive bamboo, continue work on the ruins of an old barn, or pick up twigs that have fallen over the winter! Do something for the park while learning more about history surrounding the Battle of Princeton. They will have gloves, saws, clippers, and pruning shears to put at your disposal - but also please bring your own so they are sure to have enough. Enjoy the sun (hopefully!) and put a "spring" in your step and join them at the Clarke House in the park! Sponsored by the Princeton Battlefield Society and co-sponsored by the Sierra Club-NJ Chapter/Central Group. Princeton Battlefield is located at 500 Mercer Road, Princeton, NJ. To RSVP and for more information and questions, e-mail Kip at princetonbattlefieldsocinfo@gmail.com and visit www.theprincetonbattlefieldsociety.com. Blues Night at The Hermitage! The Hermitage Museum is pleased to present "Black Lace Blues," a five-piece band from Montclair/Bloomfield, NJ. Join us for an evening of blues music and great food! This event will be held at Jaqua Hall, 335 North Franklin Turnpike, Ho-Ho-Kus. Limited seating but plenty of free parking! Proceeds benefit the 1888 Hermitage Summer Kitchen restoration. Admission: $50 per person (FOH Members: $45) Includes beer, wine, and light fare. For more information and to purchase tickets, call the museum office at 201-445-8311 x 101 or visit www.thehermitage.org. Visitors to the 130-acre working farm will be able to meet these animals up close during the farm’s annual New Faces Day from 10:00 am - 4:00 pm. Throughout the day, farmers will be present to introduce visitors to babies born this spring, as well as to other animals. Walk-in visits to the henhouse, sheep barn, and pig pen will be permitted. Visitors to the main barn will be able to meet the farm’s workhorses and oxen. New Jersey's Original Easter Bunny Express celebrates its 23rd continuous year of operation in 2015. Celebrate the return of spring and the Easter holidays with a ride on the Whippany Railway Museum's Easter Bunny Express. Our Special Easter Train Ride ensures a fun outing for the kids...and the entire family. So round up your family and friends and climb aboard for some great Easter fun and laughter! Ordering tickets is fast and easy! Trains depart at 1:00, 2:00, 3:00, and 4:00 pm each day, rain, snow, or shine. The Whippany Railroad is located at 1 Railroad Plaza, at the Intersection of Route 10 West & Whippany Road in Whippany, NJ. Train fare: Adults: $14.00, Children (under 12): $9.00, Infants (1 year and under): Free. Train fare includes admission to museum building and grounds. Join the Old Barracks Museums as they journey back to the 1760s, a time just before the American Revolution, when New Jersey was embroiled in an earlier conflict known as the French and Indian War. Come see first-hand what military life was like in the colonies before we fought to become an independent nation. Visitors are invited to experience a typical day in the life of a soldier stationed at the barracks and to interact with the people who cooked, slept, drilled, and lived within these walls. Take a tour of the barracks itself, which was built in 1758 for the purpose of housing these British forces. Activities throughout the day include morning roll call, drill and firelock demonstrations, ration distribution, and cooking. There will also be a sutler station at which the soldiers can purchase drink and other sundry items not provided by the crown. This promises to be a fun and educational weekend for the entire family! Time: Saturday and Sunday, 10:00 am - 5:00 pm. Admission: $8-adults, $6-seniors/students, free for children 5 and under, active military and Old Barracks members. Parking is free and conveniently located in the small lot directly next to the museum. The Old Barracks are located at 101 Barrack Street, Trenton, NJ. For more information, call 609-777-3599 or visit www.barracks.org. The Historical Society of Plainfield will host a special presentation, "Madame CJ Walker: A Self-Made Woman," by interpreter Dr. Daisy Century on Sunday from 2:00 - 4:00 pm, in the second floor ballroom of the Drake House Museum. Madame CJ Walker was an entrepreneur, a civil rights advocate, and America's first female self-made millionaire. She was a philanthropist and a financial supporter of black colleges and universities. Walker amassed her fortune through dedication, hard work, and innovation. She began with a small "Special Correspondence Course" business that was founded on her System of Beauty Culture. She focused on her "hair-growing" business, and in 1911 the Madame CJ Walker Manufacturing Company of Indiana was incorporated, and her business grew rapidly. Dr. Daisy Century brings Madam CJ Walker to life through a thoroughly researched, dramatically intense portrayal. Dr. Century trained as a teacher, and earned a PHD in Science Education from Temple University. This program is free and open to the public. Seating is on a first-come first-served basis. The Historical Society of Plainfield is located in the Drake House Museum, 602 West Front Street, Plainfield, NJ. For more information, call 908-755-5831; or visit www.drakehouseplainfieldnj.org. Celebrate Women in History Month with your friends at the Ocean County Historical Society, 26 Hadley Avenue, Toms River, NJ on Sunday at 2:00 pm. Join OCHS member Doris Villa as she presents "Women Who Made A Difference." Learn about famous and infamous women throughout the world, with special emphasis on Alice Paul, Golda Meir, Indira Gandhi, Bella Abzug and Bessie Coleman. Admission free and refreshments will be served. Call 732-341-1880 to reserve your seat. For more information, visit www.oceancountyhistory.org. The Temperance movement grew up with the Industrial Revolution. Increasing use of machines for manufacturing led to a greater concern for competent and sober workers in America's factories. But the movement, whose original purpose as to shape and more responsible society through moderation of life's pleasures, soon grew many branches and encompassed many other social causes. The fight to rid the land of the dangers of alcohol was becoming more prominent and women began to play a greater role in the crusade by the 1830s. 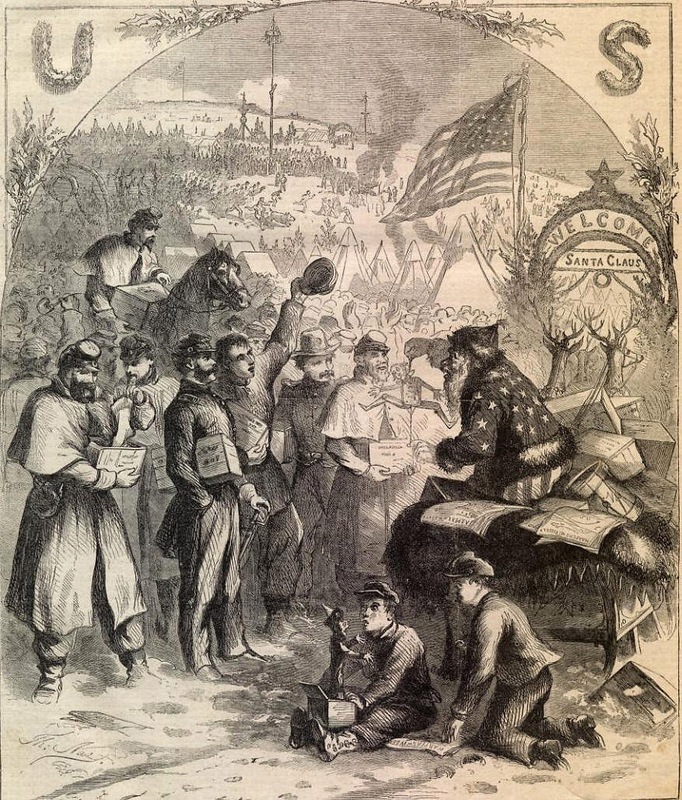 On Sunday, historian and author Bill Styple will present “Writing & Fighting the Civil War - Soldier Letters to the New York Sunday Mercury 1861-1865”. Eager for the first-hand news from the battlefront, the editors of the Mercury asked the departing volunteers to write and "inform us of any events of interest." This simple request for news generated the largest and most impressively detailed collection of journalistic correspondence ever written during the Civil War. Bill edited a book about these 3,000 letters after discovering and researching the extensive collection and will discuss this first-hand account of the war and unique collection of Civil War journalism. Visitors can also view the exhibit “The Civil War Through the Eyes of Thomas Nast”, prior to the program. On display are a selection of images by Nast of battles, Union and Confederate troop movements, and their activities throughout the Civil War. Like the newspaper letters Bill will discuss, Nast’s illustrations in publications like “Harper’s Weekly” brought the information about what was happening into the homes of the American public. Bill Styple is an author of several books about the American Civil War and was the co-curator the 2012 - 2013 MHHM “American Heroes in Bronze” exhibit and presented three popular and engaging Civil War presentations. Tickets go on sale beginning at 1:00 pm on the day of the program and remain on sale until the presentation begins at 4:30 pm. No advance sales. Speaker tickets include admission to the museum exhibits during the afternoon and a guided tour of period rooms, the last tour ticket is sold at 3:00 pm. Speaker tickets will remain on sale until 4:30 pm. The Museum’s collection of “Currier & Ives” prints on display throughout the second floor of the museum and the second floor “The Civil War Through the Eyes of Thomas Nast” and “Canals of New Jersey” exhibits will remain on view until 4:30 pm. The first floor “Thomas Nast: Unknown Works and American Icons” exhibit will close 3:30 - 4:00pm in preparation for the program. Tickets to hear speakers are adults $8; seniors and students $6; children 6 - 12 $4. Members and children under 5 are admitted free. Macculloch Hall Historical Museum preserves the history of the Macculloch-Miller families, the Morris area community, and the legacy of its founder W. Parsons Todd through its historic site, collections, exhibits, and educational and cultural programs. The Museum is open for house and exhibit tours on Wednesdays, Thursdays, and Sundays from 1:00 - 4:00 pm. Macculloch Hall Historical Museum is located at 45 Macculloch Avenue, Morristown, NJ. For more information, call 973-538-2404 ext. 10 or visit www.maccullochhall.org. Archaeologist and author Dr. Meta Janowitz will give an illustrated talk at 1:30 pm on Sara Roelofse, a remarkable woman who lived in remarkable times. Born in Amsterdam, she came as a young child to New Netherland (1630) where she came into contact with settlers from many European countries and members of both the Lenape and Iroquois peoples, as well as enslaved Africans. She married at a young age and raised nine children while acting, when the occasion required it, as a translator and cultural mediator between Europeans and Americans. During her lifetime New Amsterdam and New Netherland experienced wars and two changes in government but her family remained intact. We know about her official activities from brief entries in government documents and her domestic life from even briefer accounts in other sources, but we can piece together a picture of her life and influence from these and from artifacts excavated at the site where she and her first husband, Hans Kierstede, and later her daughter Blandina Bayard lived. At 3:00 pm, Chief Dwaine Perry of the Ramapough Lenape Indian Nation will make remarks and Floyd Little Sun Hicks will give a welcoming song and a thank you (blessing) song. The 3:00 program will be followed by historian Kevin Wright, author of 1609: A Country That Was Never Lost, who will present an illustrated talk in the Steuben House, entitled "The Peach War of 1655." In keeping with the Lenape New Year, his talk explores a little known chapter in Bergen County history, illuminating the relationship between its Native American inhabitants and Dutch settlers. The talk reviews the events of September 15, 1655, when 64 canoes, carrying 500 warriors from ten Indian tribes, landed on the western shore of Manhattan island, instigating a destructive conflict misnamed the Peach War, which resulted in the death of 50 colonists; the capture of another hundred, mostly women and children; the burning of 28 farms, together with 12,000 schepels of grain, and the loss of nearly 600 cattle. It is the seldom told story of how rivalries among native societies and the competition to supply firearms among European colonial powers, expressed through diplomacy and warfare, turned eastern North America into an arena of international conflict in 1655. It is also a story of early attempts to regulate firearms and liquor and of the exchange of arms for hostages. Selections from the Bergen County Historical Society's collection of local Native American artifacts will also be displayed.